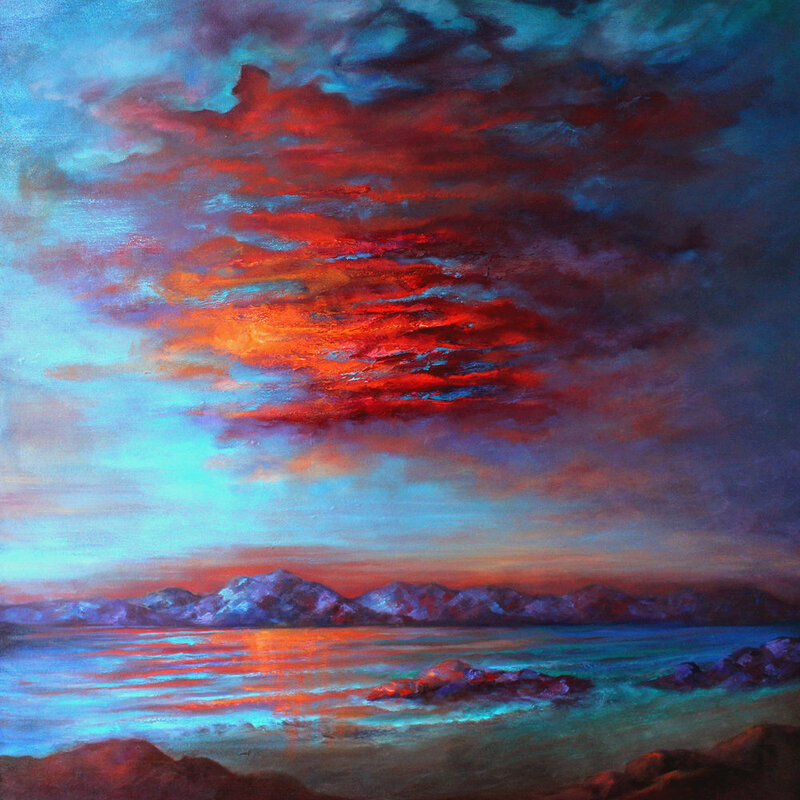 “Regardless of style, I paint the intricacies of nature and the tremendous hope that it brings for a new tomorrow. Camping, hiking, skiing, and the joy of the rain inspired Mary at a very young age to capture the drama of the glorious Pacific Northwest through drawing, watercolors, crayons, and storytelling. 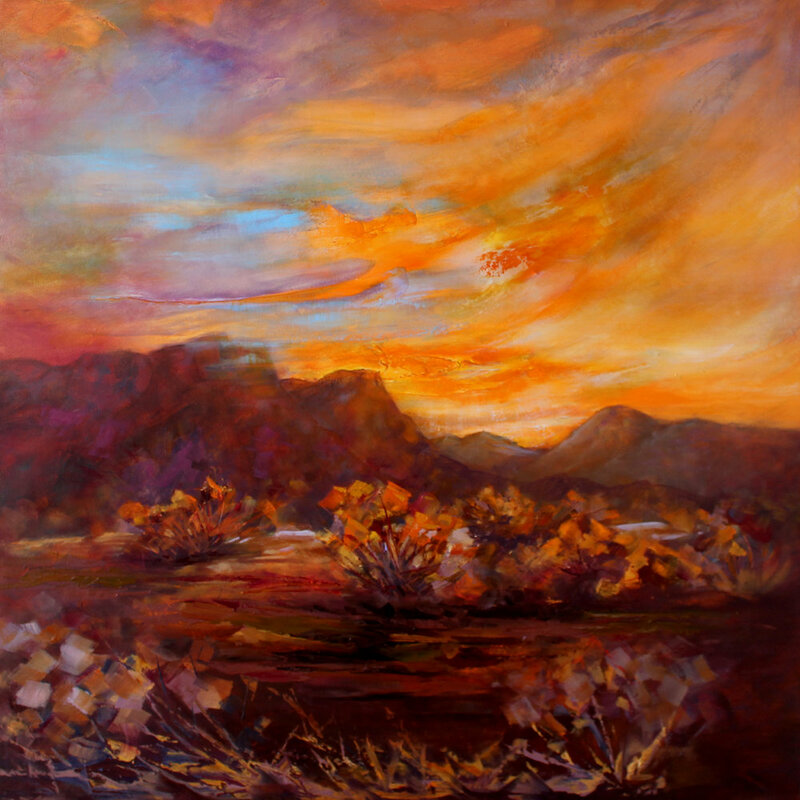 When Mary moved to the Rocky Mountains of Colorado and New Mexico, she was inspired through new forms of expression. With a move to the east coast, her work evolved into pure abstractions, becoming looser and bolder, and launching her foray into “Abstract Expressionism”. As an experimental artist, she incorporates design principles. These principles are evident in each painting. However, the painting soon becomes a magical self expression, at which point she listens to the painting, playful, yet focused on becoming a new and unique form.